Sell Your House To Us Because We Are Looking For Houses All Around Scottsdale, In Any Condition Or Price. See How Our Quick Process Works. We’ll Give You A Fair Offer For Your House And You Walk Away With Cash. Need to sell your Scottsdale house? We are house buyers who can give you a fair all-cash offer within 24 hours and can close as soon as next week. That’s quick. Want To Sell My House Fast In Scottsdale, AZ? 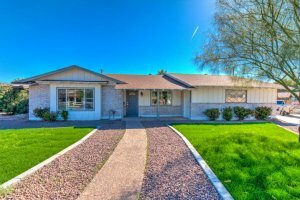 We buy houses quickly in Scottsdale, AZ. Just call us. How can I sell my house fast in Scottsdale? Well, first you find a buyer who has enough cash that they don’t even need financing. Frankly, that’s who we are. We help property owners just like you, in all kinds of situations. From divorce, foreclosure, death of a family member, burdensome rental property, and all kinds of other situations. We buy houses in Scottsdale and surrounding areas and pay a fair cash price, fast. So you can sell my house fast.